Helping you turn Knowledge to Profit. Scroll Down for a Product Breakdown. If you choose, your order & position data will be automatically sent to the statistics servers within second of making a trade and are available for immediate analysis. And more importantly – use the tools to find combinations of the above factors to really understand where the profits/losses come from. Our unique Trade History Calendars give you monthly/weekly overview of your trading performance. 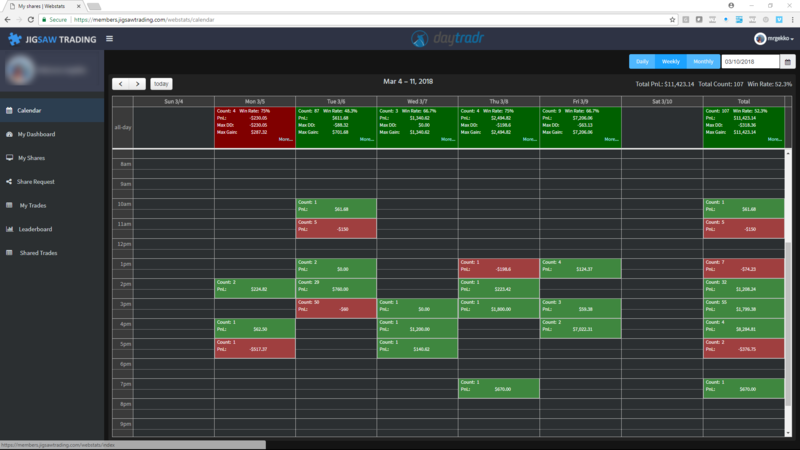 Quickly scroll through years of trading data and then drill down to see the trades or to the lower level calendar (from month to week to day). Monthly view shows Trade Count, PnL, Win Rate for the month. That is broken down into days, showing Trade Count, Win Rate, PnL, Max Drawdown and Max Gain for each day. 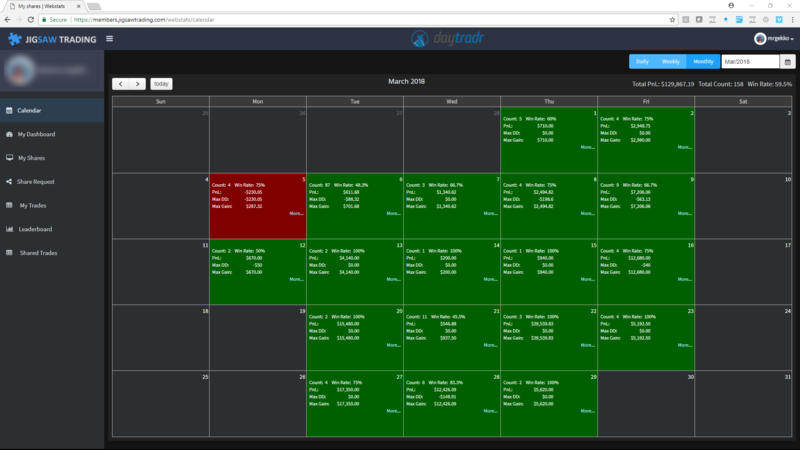 From the month view, double click to see the week or click “More” to see the trades for that month. Weekly view shows total Trade Count, PnL, Win Rate for the week. That’s brokern down into days with a summary of the trade for each 30 minute period within that day. We can also see the total for each 30 minute period for the week (for example the total of all trading 1:30p->2pm Monday to Friday). Note – all data is in YOUR local time. 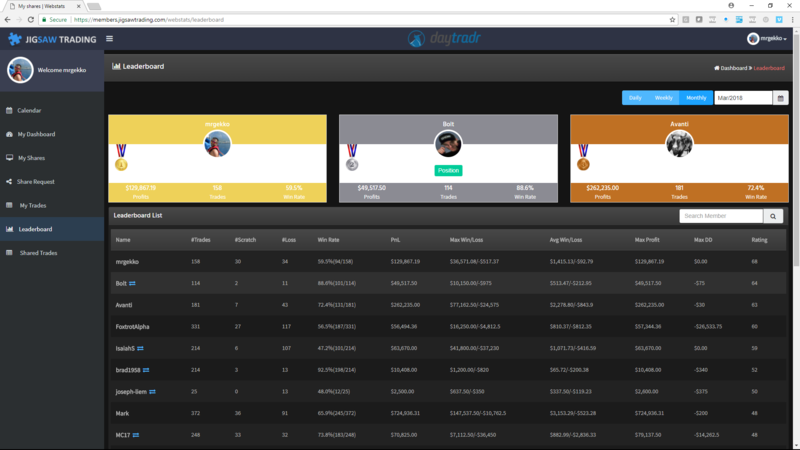 Users can also opt-in to the leaderboard, a monthly/weekly/daily display of how you and other traders using the system are performing. You can use an alias on the leaderboard to remain anonymous. I just discovered the wonders of the calendar page. This is so great in succinctly summarizing trades over time. I especially like the weekly views which shows the trades, contract sizes and drawdowns in the daily breakdown. Definitely a quick way to identify patterns in trading. Whoever designed this with the way that the views are done should get an award! 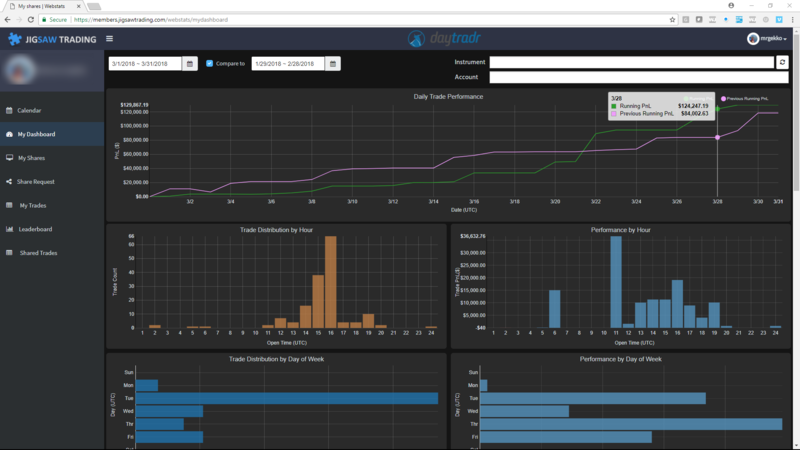 In addition to this, we have many other commonly used trading statistics in the analytics, the ability to share trade history with other traders, and various trade/fill analysis views, making this the most complete trade analytics platform on the market.